The Princess Sirivannavari Thailand Masters 2018 which began yesterday raised the curtains on the much-anticipated HSBC BWF World Tour. The Thailand Masters is a HSBC BWF World Tour Super 300 event offering US$150,000 prize money, one of 11 such tournaments spread around the world. This will be followed by three HSBC BWF World Tour Super 500 tournaments – in Malaysia, Indonesia and India. Featuring six levels of tournaments, the BWF World Tour runs until 2021. The season finale in December – the HSBC BWF World Tour Finals – will have US$1.5 million up for grabs. The HSBC BWF World Tour Super 1000 level boasts three million-dollar events to be held in China, England and Indonesia. Five events have been classified as HSBC BWF World Tour Super 750 (with US$700,000 prize money); seven as Super 500 (US$350,000 in prize money); and 11 as Super 300 (US$150,000 in prize money). February will be a quiet month for the Tour as most top players will be busy with their respective continental championships (individual and team). The sole Tour event that month is the Yonex Swiss Open (Super 300) in the third week. The World Tour continues in Europe with the Yonex German Open (Super 300; 6-11 March); Yonex All England (Super 1000; 14-18 March); and the Orleans Masters (BWF Tour Super 100) at the end of the month. 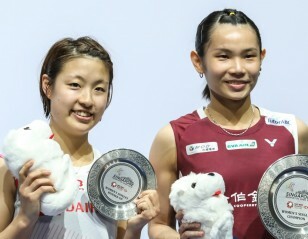 The latter is one of 11 events in the sixth level of the Tour and, while points from these events count in the HSBC Race to Guangzhou, they are not part of the BWF-HSBC sponsorship deal and are therefore named slightly differently. The action shifts to Asia with the China Super 100 event (10-15 April), followed by two Super 300 events in Australia and New Zealand in early May. The TOTAL BWF Thomas & Uber Cup Finals (Grade 1) will be held in Bangkok (20-27 May). 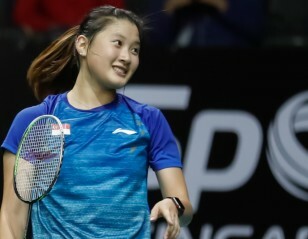 The Tour then moves to North America in June for the Yonex US Open (Super 300; 12-17 June) and Canada Open (Super 100; 19-24 June) before moving to Asia for a series of back-to-back tournaments in Malaysia (Super 750), Indonesia (Super 1000), Thailand (Super 500), Singapore (Super 500), Japan (Super 100), Russia (Super 100) and Vietnam (Super 100). The TOTAL BWF World Championships – a Grade 1 tournament – will be held in Nanjing (China) from 30 July to 5 August. Top players will get a chance to take a break in August following the World Championships. The only Tour event that month is the Spanish Open (Super 300) from 28 August to 2 September. September will be a busy month for players with five Tour events – Hyderabad (Super 100); Japan (Super 750); China (Super 1000); Indonesia (Super 100) and Korea (Super 500). October will begin with the Chinese Taipei Open (Super 300), followed by the Dutch Open (Super 100); Denmark Open (Super 750); French Open (Super 750); Macau Open (Super 300) and Bitburger Masters (Super 100). Five Tour events are scheduled for November – China Masters (Super 750); Hong Kong Open (Super 500); Scotland Open (Super 100); Syed Modi International (Super 300) and Korea Masters (Super 300). The season closes with the US$1.5 million HSBC BWF World Tour Finals from 12- 16 December.